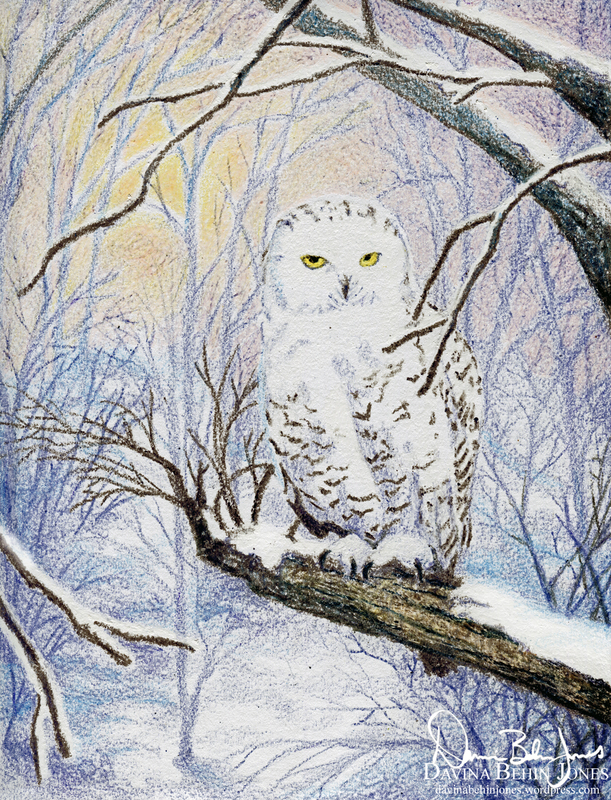 Snow owls are one of my favorite birds of all time and I’ve been wanting the challenge of drawing something that blends so adeptly into its surroundings. Attempting to illustrate snow, or anything white really, is in fact all about color. You have to go into the project with a definite color scheme in mind because those shadows and lights are full of the rainbow! Crayons are perfect for this kind of illustration.